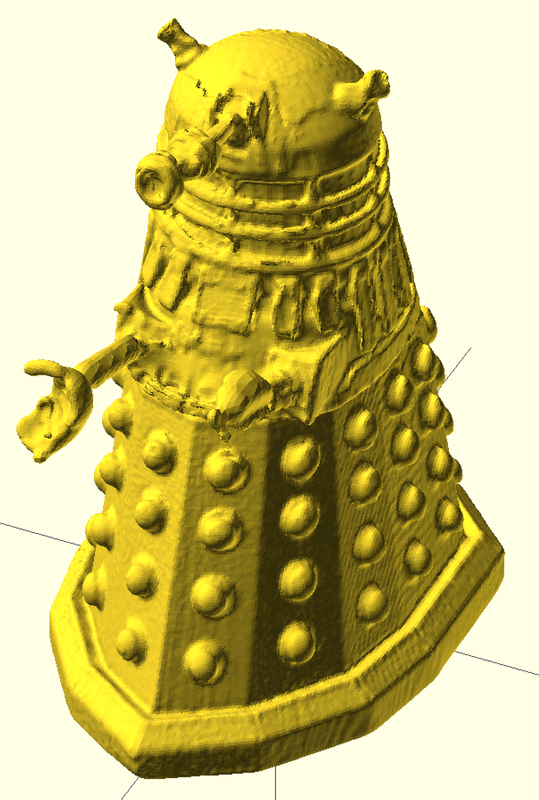 So, I now have a Makerbot scanner as well, and decided to do a better job of a Dalek than could be found on thingiverse. My main issue with the one on thingiverse is that I can't seem to edit it - it appears to be a flawed STL. What I want is an openscad engineering model for a Dalek so I can do things with it. 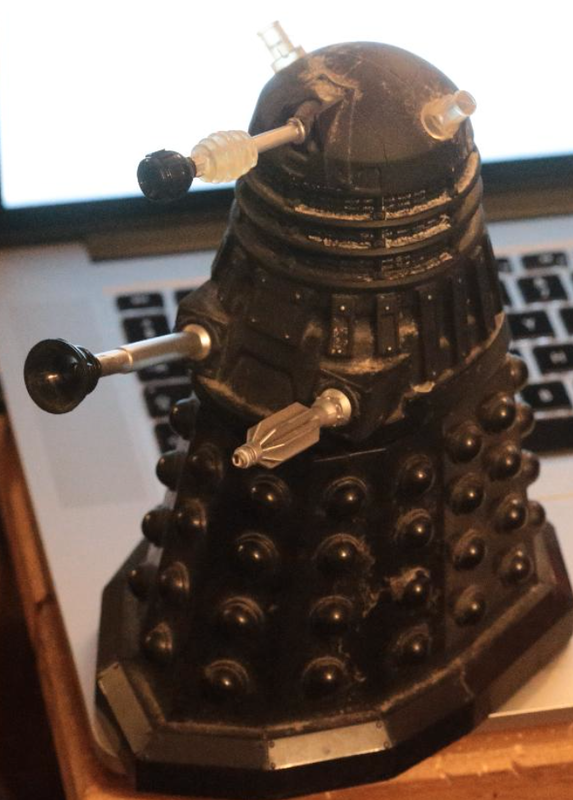 So, a good start was having a Dalek to play with. 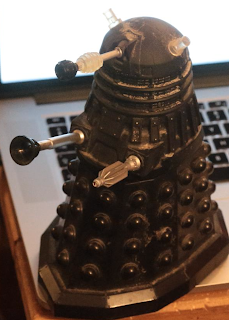 I did find a "how to build a dalek", which is a scan of a BBC publication explaining how to cut bits of 15mm ply and make a Dalek. The only issue was that it was wrong - it did not even agree with the pictures in the instructions. It does not even have enough balls. So, I scanned it - did not work. So I got a can of white spray paint... Then scanned it... Much better, but still not very good. Usable as a reference. 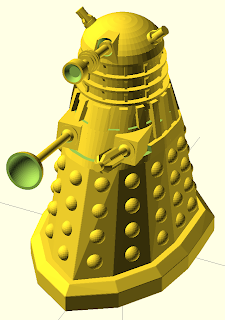 Then, with the aid of some digital callipers, and a time consuming afternoon, I managed to make an openscad model. The scan helped ensure the overall model fitted in with reality. This means I can make the top, the base, the weapons, all separately. 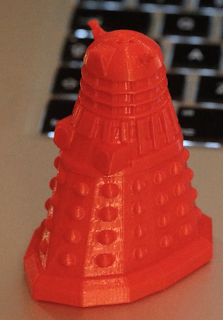 It means I can make things like a Dalek salt shaker. I still have a long way to go before I am a master at this. Just see this heart on thingiverse.